Home / JOB VACANCY / EMPLOYMENT OPPORTUNITIES ANNOUNCED AT NATIONAL CONSTRUCTION COUNCIL (NCC) MARCH 2019. EMPLOYMENT OPPORTUNITIES ANNOUNCED AT NATIONAL CONSTRUCTION COUNCIL (NCC) MARCH 2019. The National Construction Council is a Government institutions established by Act of Parliament No.20 of 1979 (as amended through CAP 162 R.E. 2008) and became fully operational in 1981. 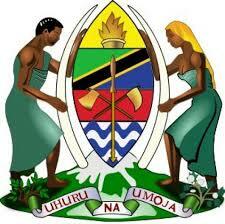 Its mission is to promote development of the Construction Industry in Tanzania. The Council Intends to recruit dynamic and qualified candidates to fill the vacancies of the following post. xii. To Assist in organizing stakeholder meeting and forums; and xiii. To carry out other duties as may be assigned by ones reporting officer. Fresh holder of a Masters Degree in engineering, Quantity Surveying, architecture, construction management who attained a minimum of an Upper Second Class Honors degree at undergraduate level. xi. Performs any others functions directed by the supervisor. Holder of form six National Secondary School Certificate plus a certificate in Records Management from Tanzania Public Service College or any other recognized institute.